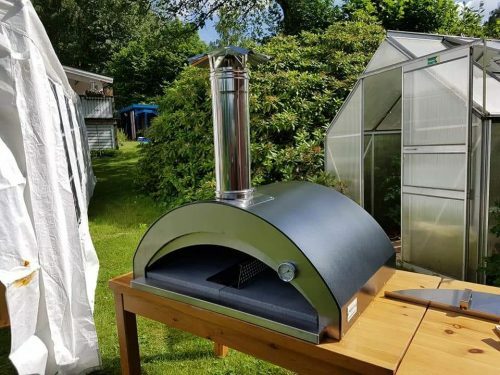 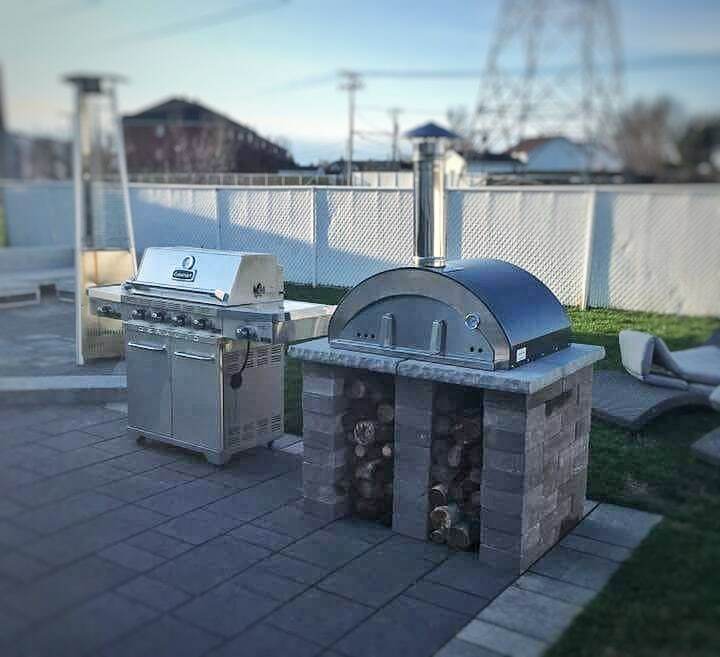 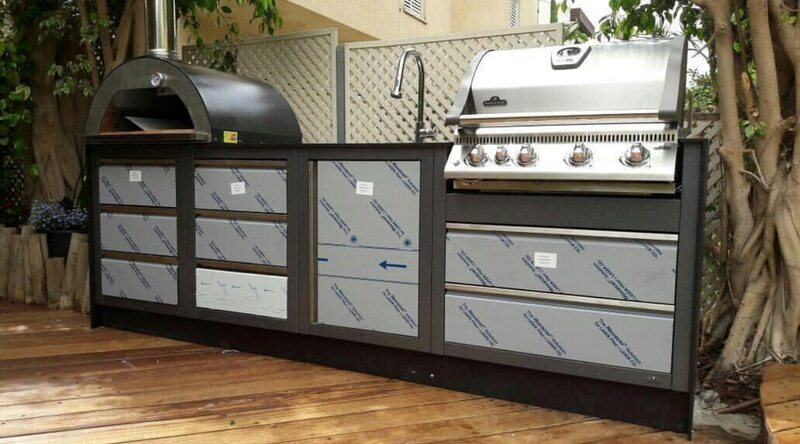 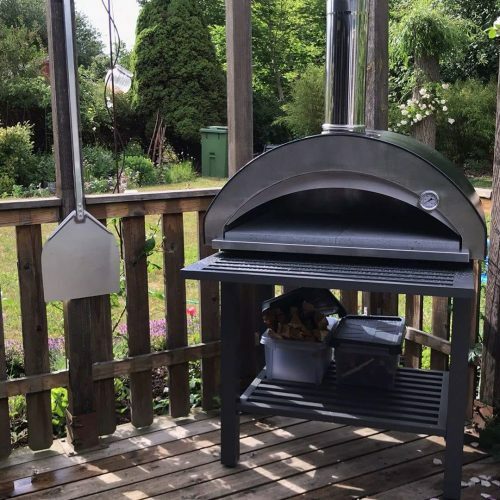 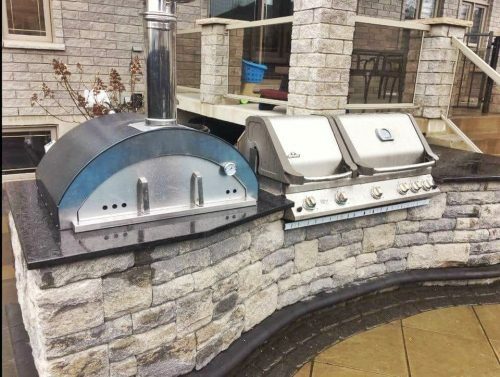 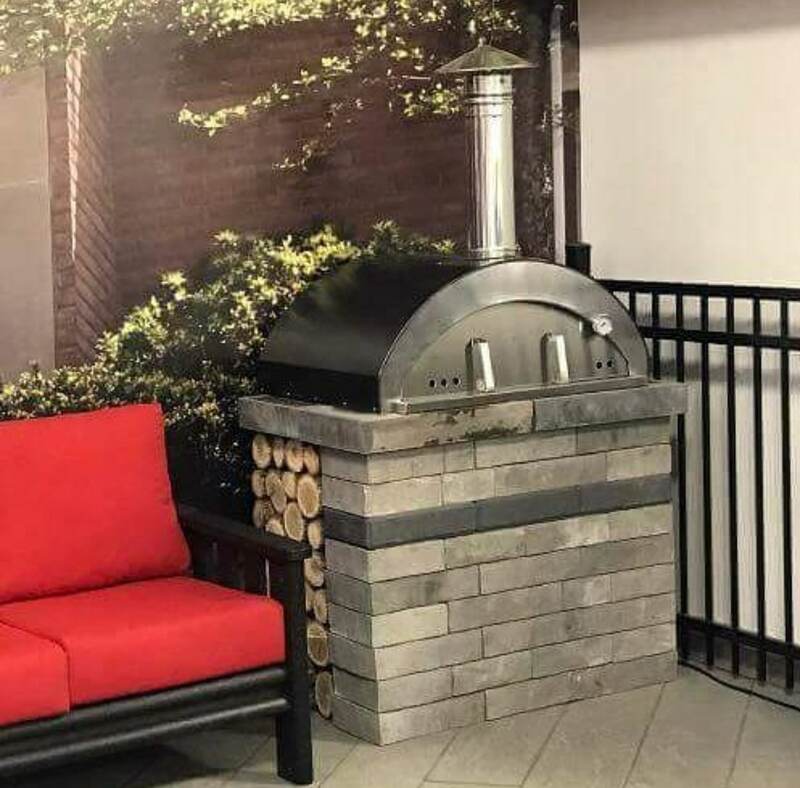 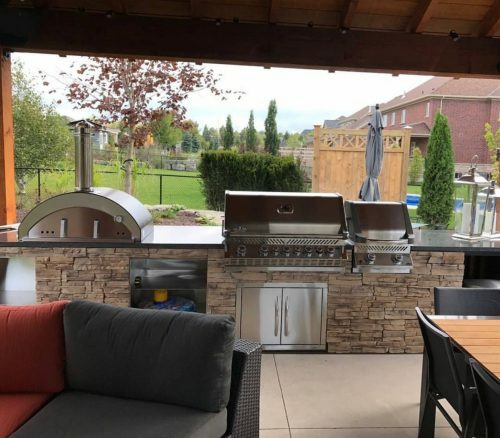 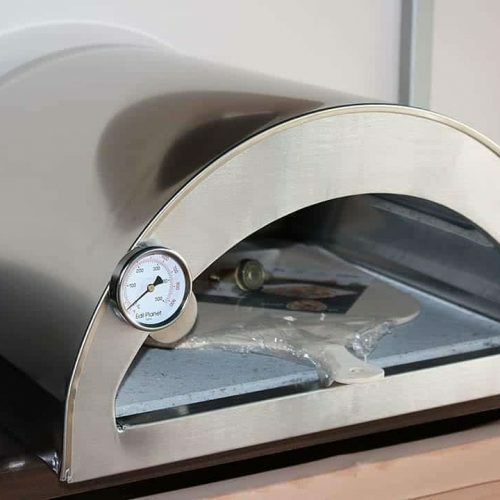 Our best selling oven which is perfect upgrade to your patio / garden area. 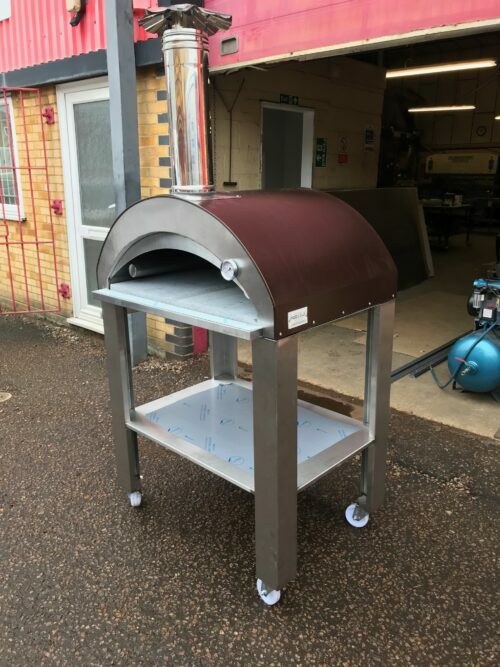 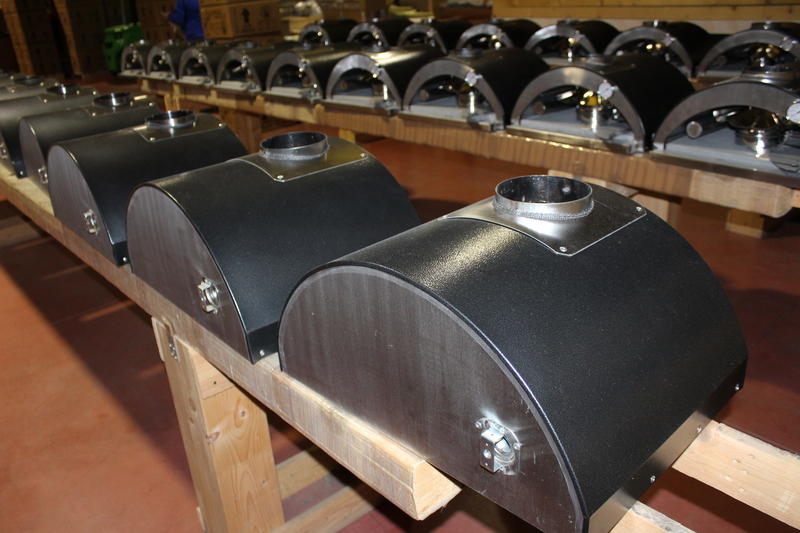 This model is also extremely popular for catering businesses due to it’s capacity, performance and weight. 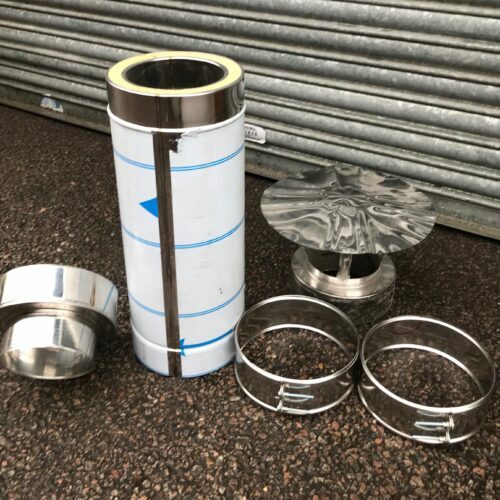 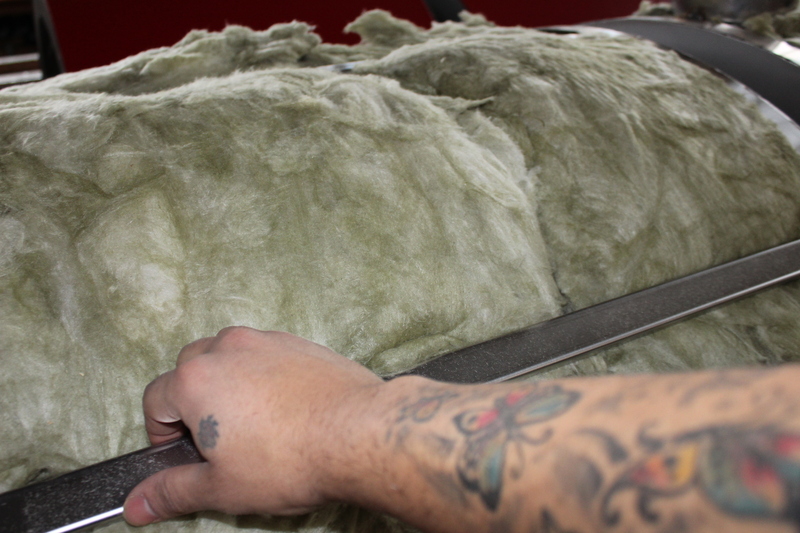 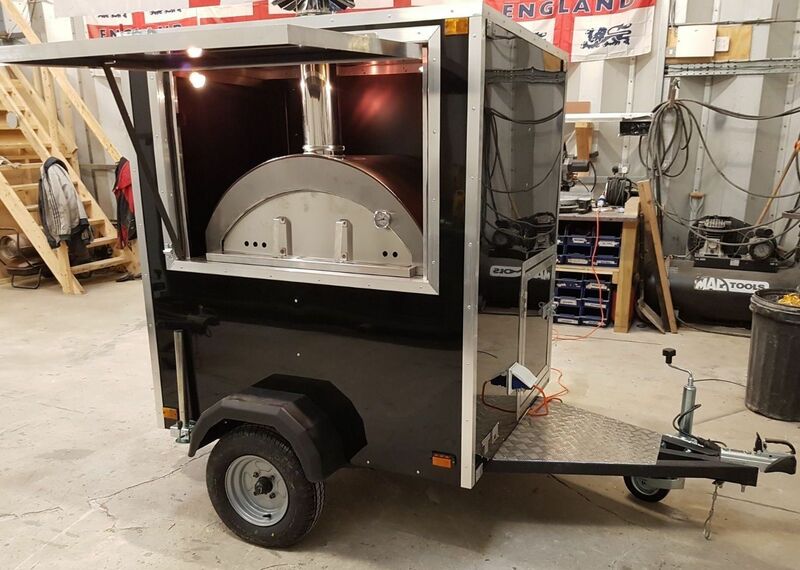 Can be installed easy inside a van, trailer, horse box or can be supplied with trolley to be easy moved around. 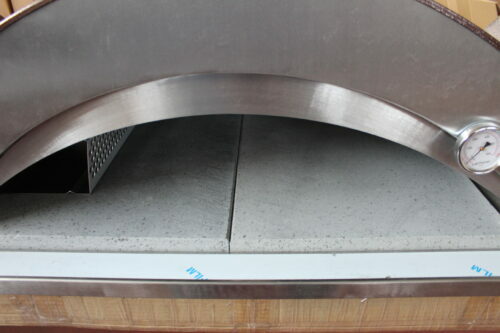 We can fabricate custom made stainless steel trolley for this oven on request. Please contact us for more information. 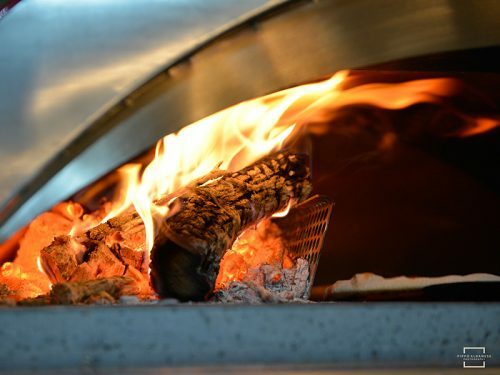 The oven floor is carved from a pure volcanic lava stone from the ancient flows of Mount Etna – no less. 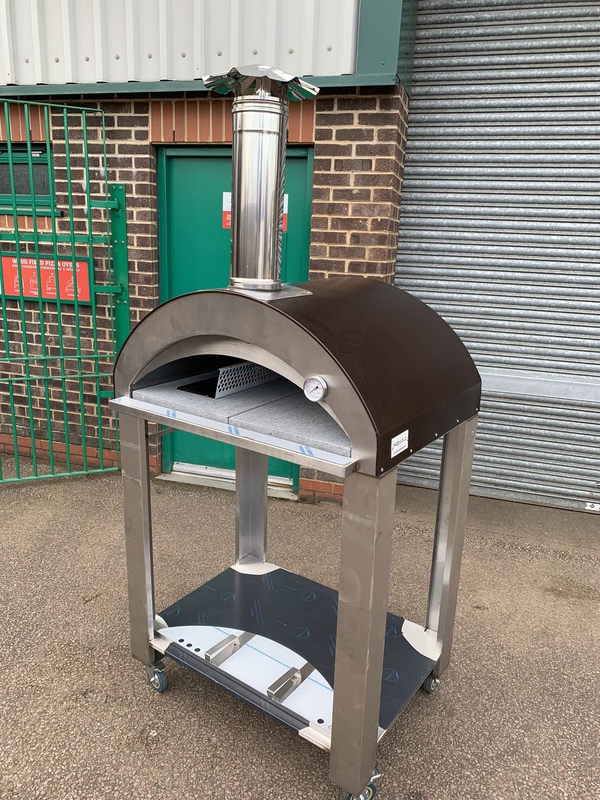 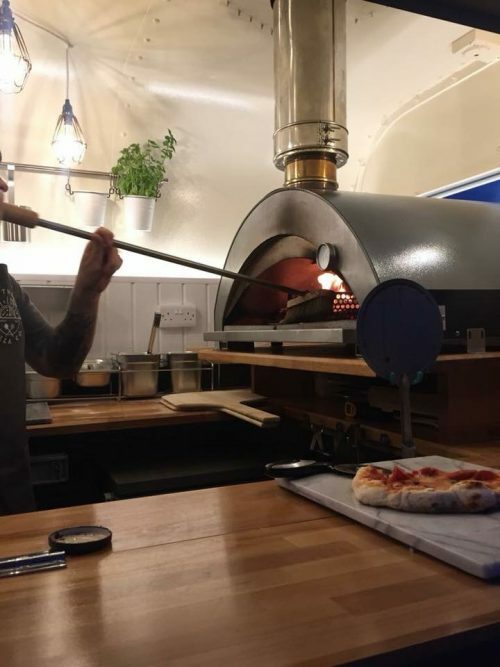 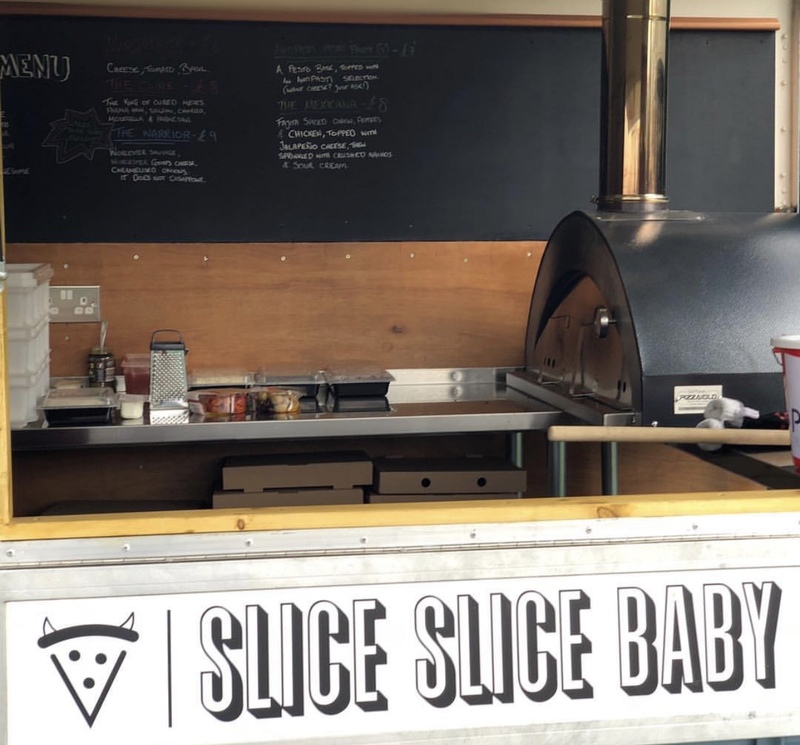 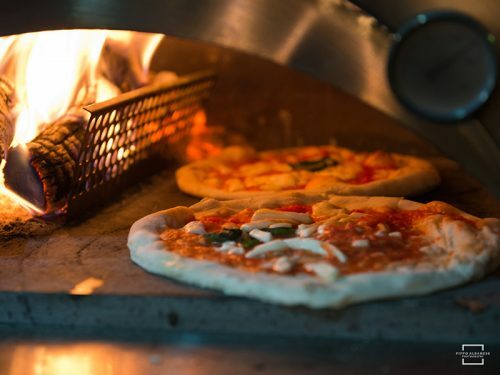 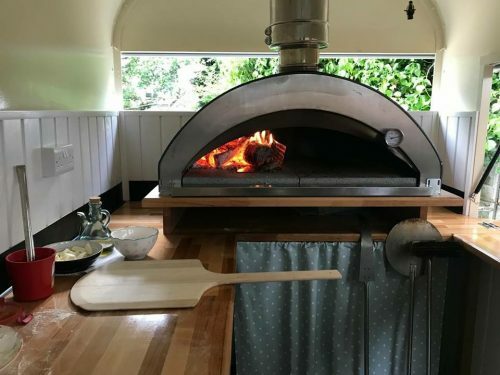 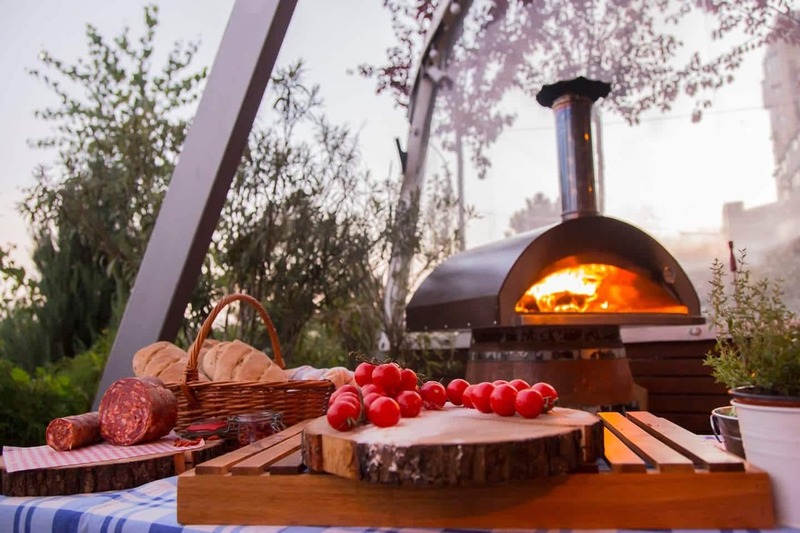 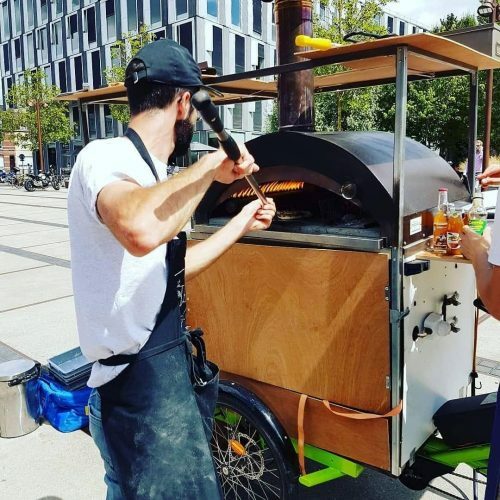 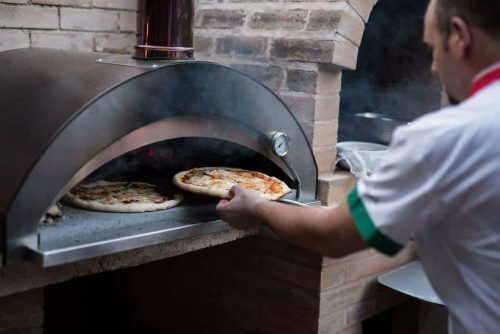 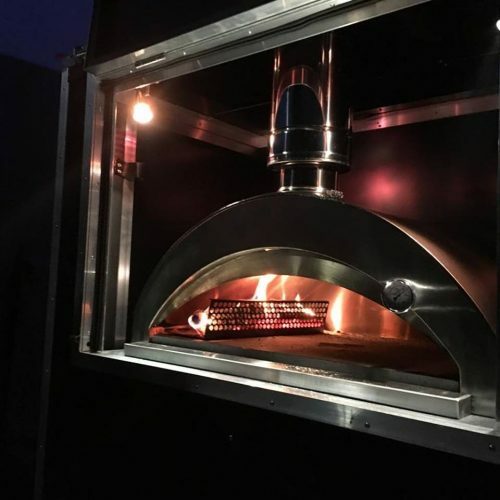 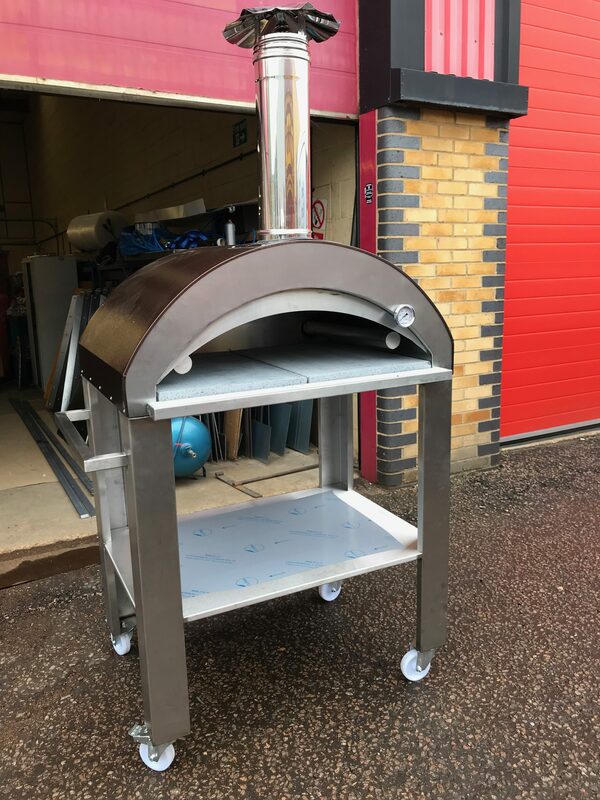 This PIZZAIOLO wood fired oven has a huge 60 cm x 80 cm cooking surface area, to give you an idea of space it is capable of cooking up to 4 pizzas at a time. 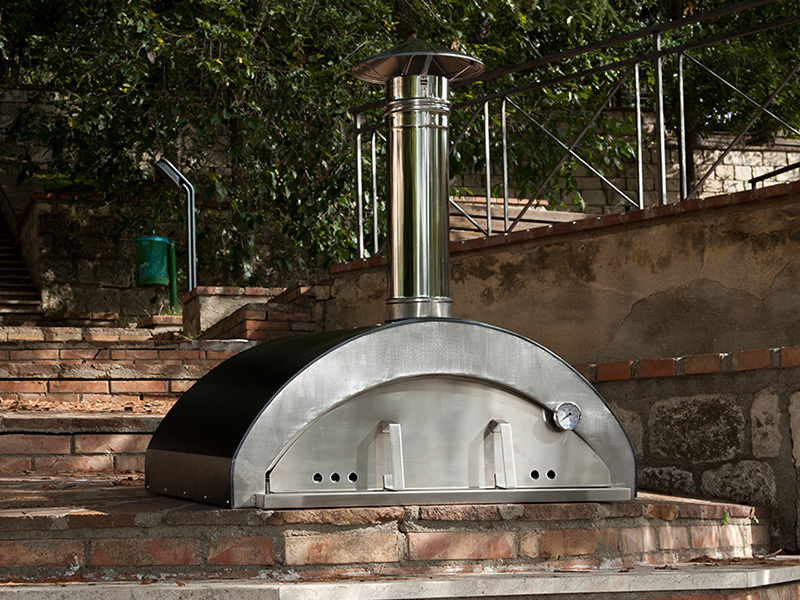 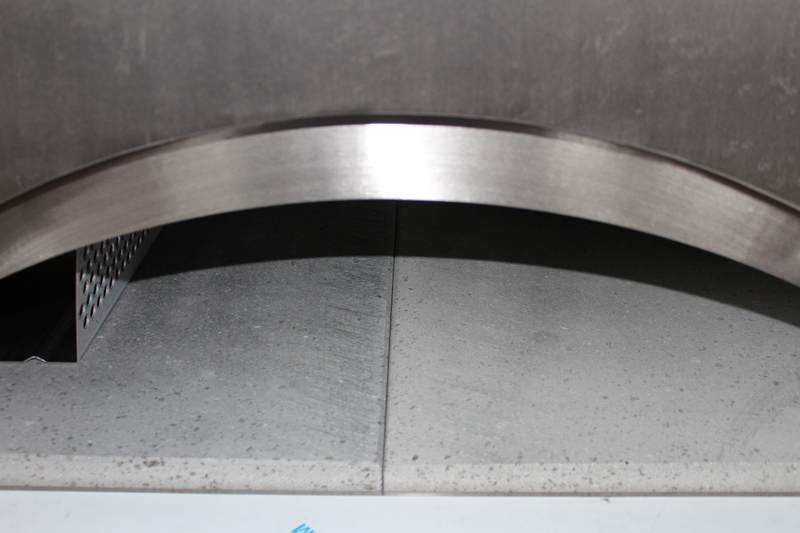 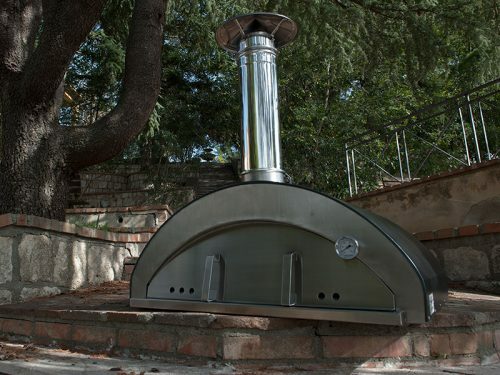 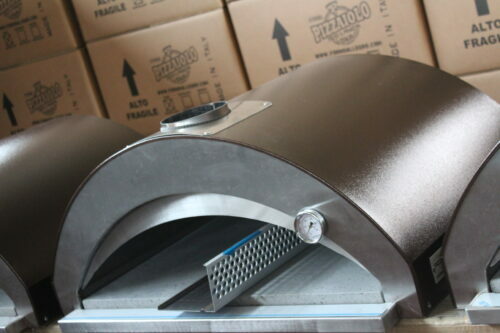 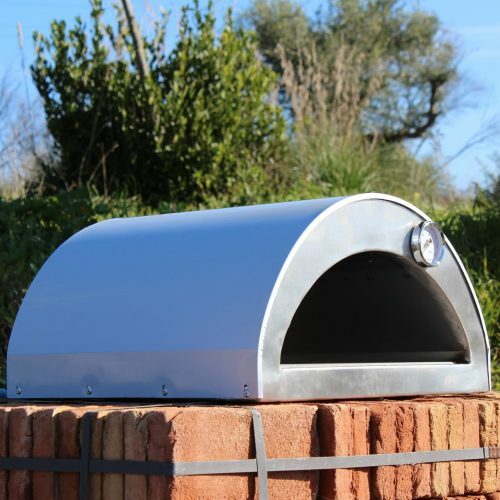 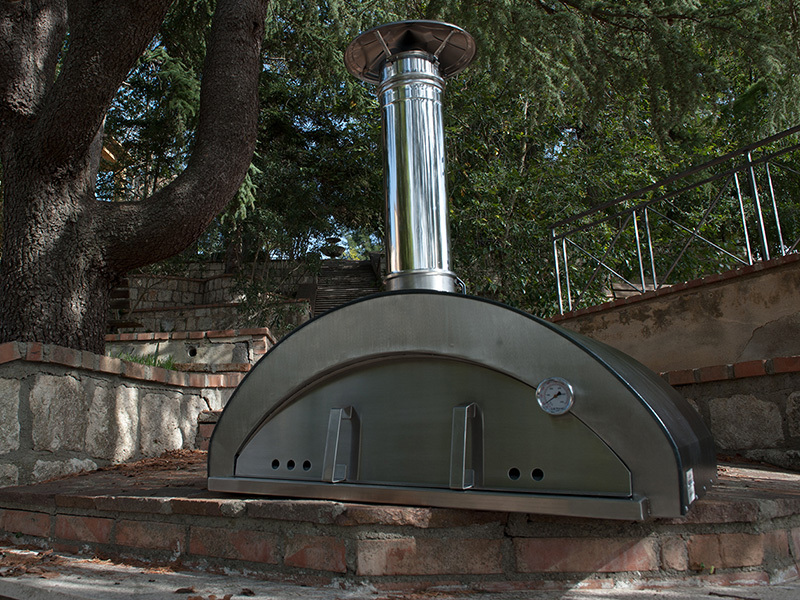 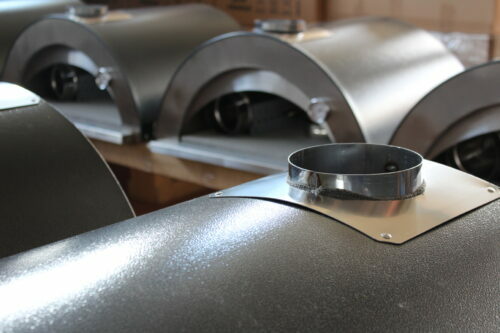 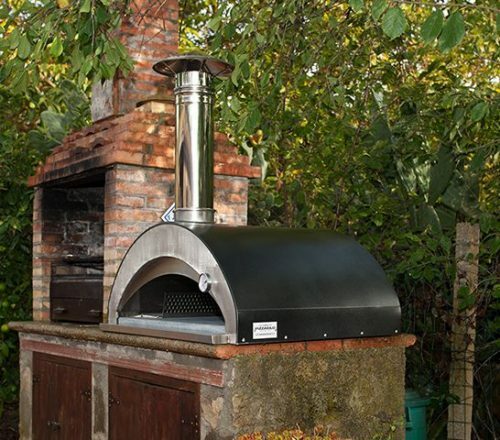 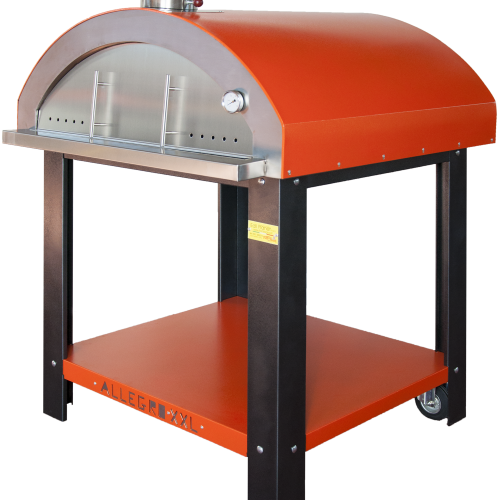 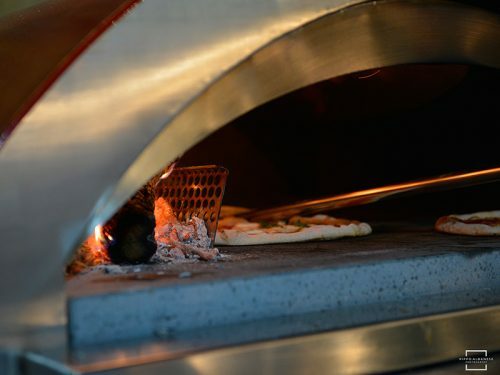 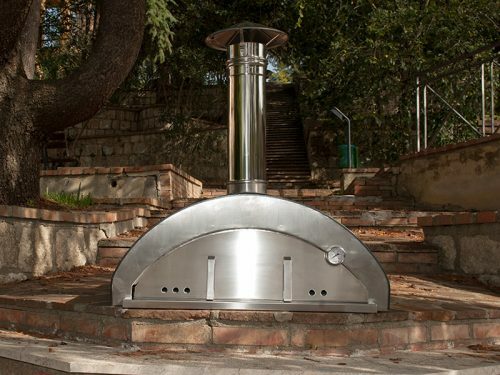 Despite its voluminous size and hefty weight of 110 KG, the PIZZAIOLO is easy to manoeuvre. 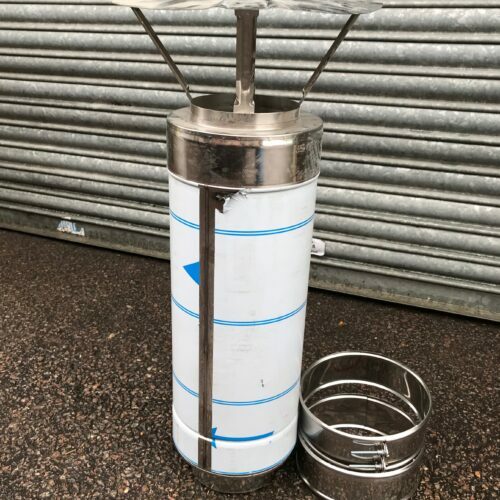 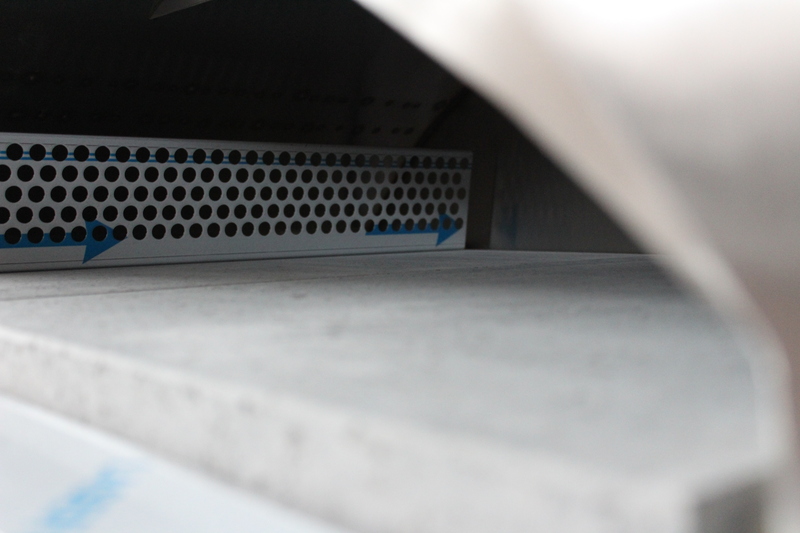 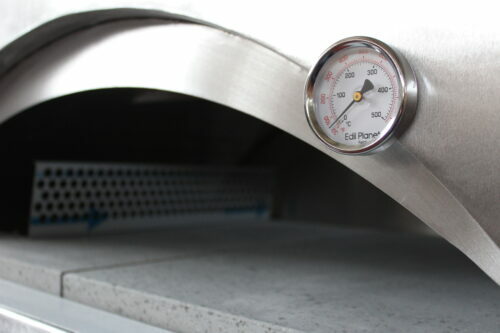 This makes the oven ideally suited to professionals, festival organisers, outside catering and events companies.